Pi Ja Ma is the moniker of French visual artist and singer Pauline de Tarragon, under which she creates 60s influenced Alt-Pop. Premiered on John Kennedy’s ‘X-Posure’ Radio X show, the debut single and title track of her upcoming EP ‘Radio Girl’, is set for release on 15th July via Bleepmachine. Inspired by timeless artists of the likes of Patti Smith, The Velvet Underground, Beach House, Broadcast, Mazzy Star and Cat Power, the young songwriter lays her deep, full and clear voice over lively pieces of candy pop. At school, she studied art alongside the usual curriculum. At 16 and jobless, Pauline enjoyed a short excursion into basking, this time fed an uninhibited, bold new musical focus, and before knowing it she was taking part in French TV talent show ‘La Nouvelle Star’, which gave her the opportunity to hone her performing crafts in front of a large audience. Now a scholar at the prestigious art school Ecole Estienne in Paris, the city which seems to suit her artistic lifestyle, her journey led her to meet Axel Concato, the composer responsible for the intimate, sometimes orchestral and dreamy pop instrumentation of her EP. Growing up in an artistic household, as the daughter of a painter, Pauline started drawing under the influence of her father, who encouraged her development as an artist, whilst her stepfather taught her how to mix on the turntables and her brother is responsible for her baking skills. This creative background added to Pi Ja Ma’s fascination with visual arts: “I sing and a draw stuff”. This DIY attitude is visible in the quirky visuals accompanying the single and its artwork, which are just an exampled of the drawings and art she creates under the LeBeb moniker. 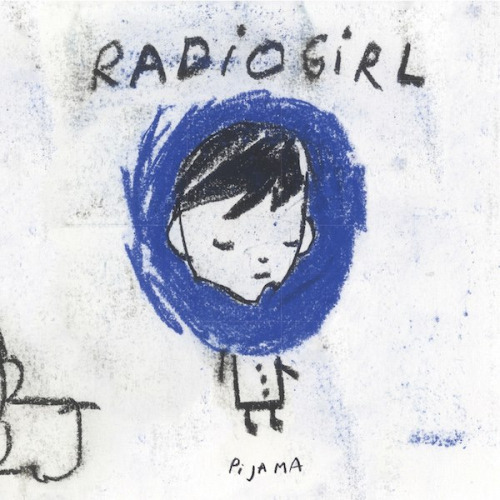 With ‘Radio Girl’ Pi Ja Ma gives us a small window into her creative personality. She might just getting started, but her debut EP will cement her status as a bonafide songwriting talent.